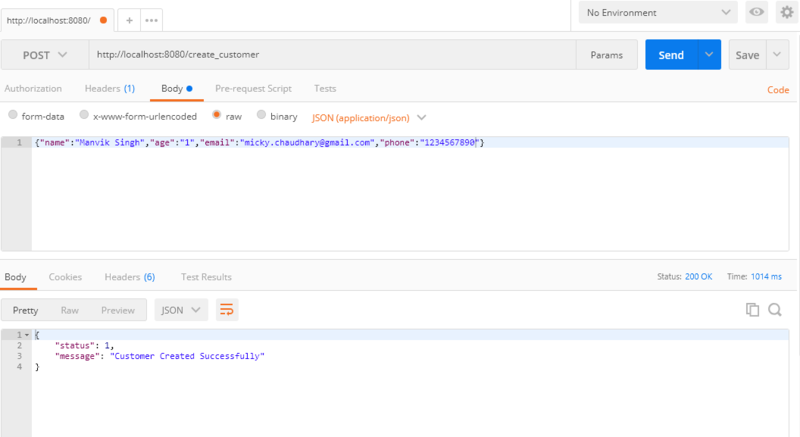 This tutorial is focused on Create Restful CRUD API using Node js Express MongoDB , Later on we will use these api method in our Frontend Application in Angular 6. So lets learn how to create restful service in nodejs with express framework, and Perform Crud operations in MongoDBdata. After ‘Npm Init’ run it will ask for some meta information, Some fields (like test command) are optional you may leave blank by entering without any text. In main script you need to provide the main bootstrap file for your application , i will provide index.js as main file name here. 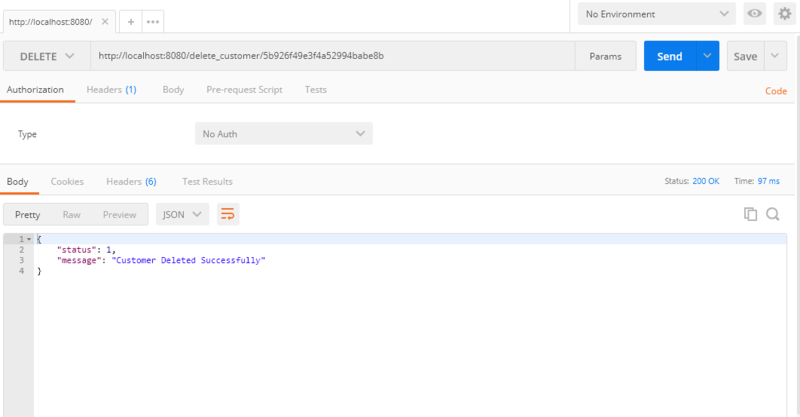 Step 5) Now in our Index.js File where we already created mongo connection there , after it we put the body parser configuration. 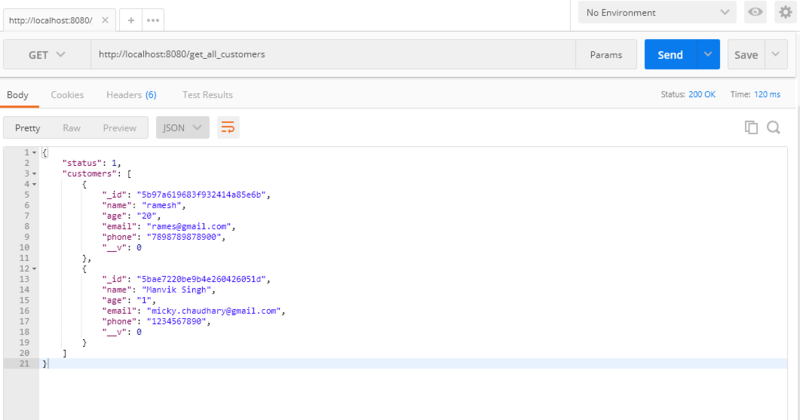 in above method we defined the app post method with create_customer is a endpoint name. Apart from above scenarios there may be multiple requirements, like search with name etc fields or get specific data with id. If you need any type of help or something not clear to you, then you may put your comments below. You are now ready to with API using Node js Express MongoDB .